That is because the picture simply doesn't match the words! The problem says "the ferry travels to its dock 7km opposite its position on the mainland 7 km at a bearing of 37 degrees". The line between "mainland" and "summer dock" should be labeled "7 km", not some other, undefined line at the bottom of the figure. The only way I could make sense of that is that the island is represented by a vertical line and the shortest line between the mainland and the island, not the path followed by the ferry, is 7km. But in that case, the "winter dock" should be on that same vertical line. 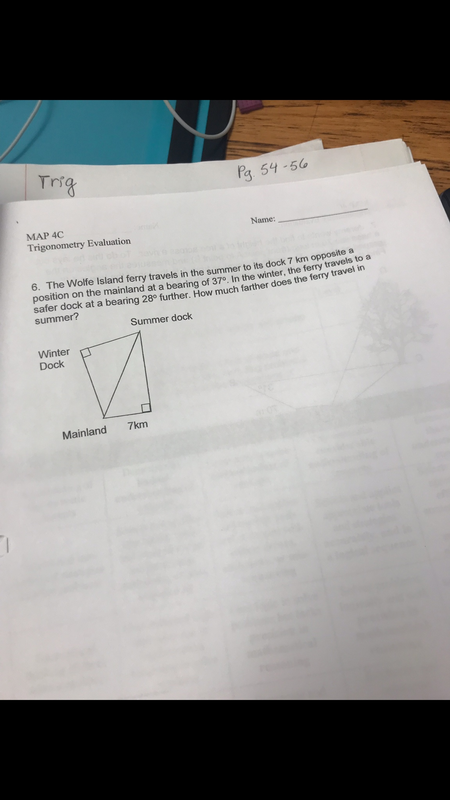 Another trig help needed asap!